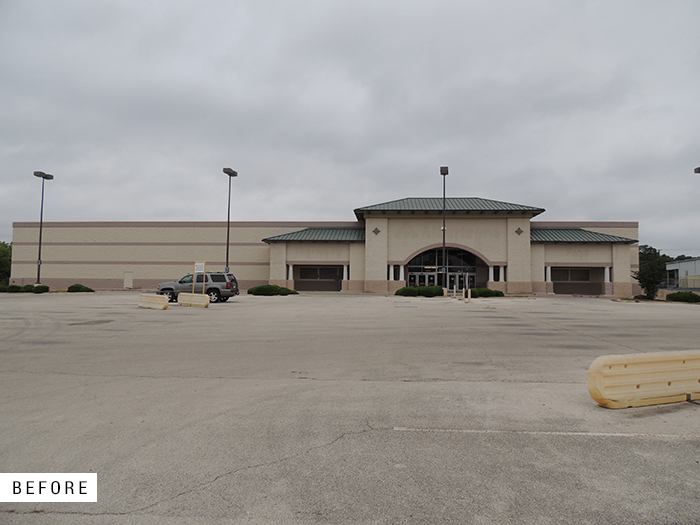 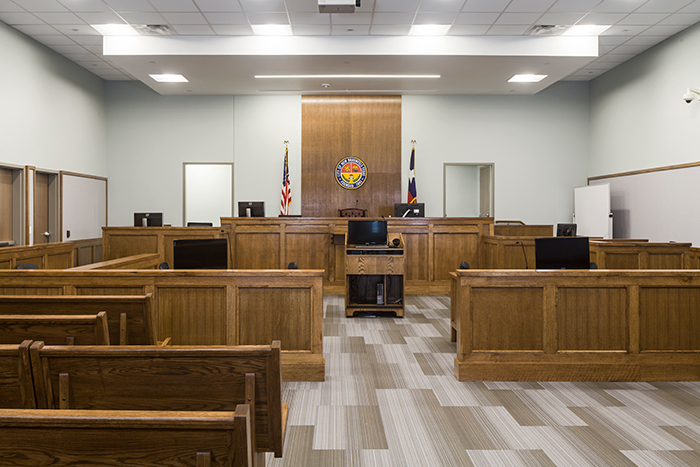 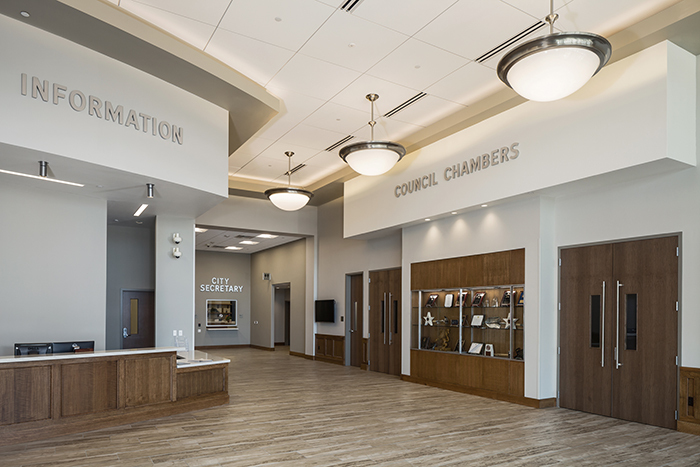 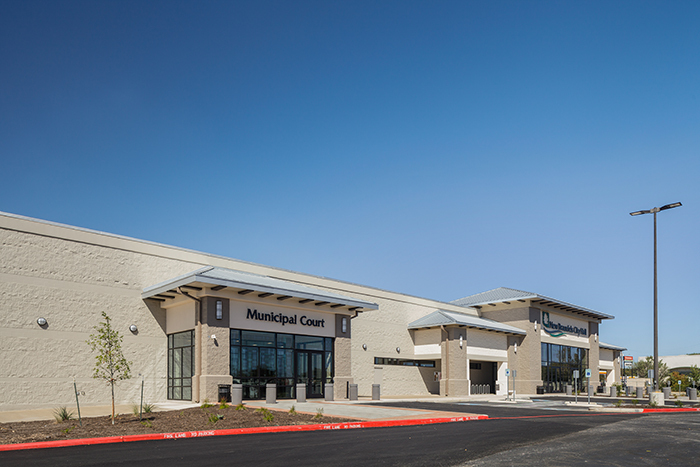 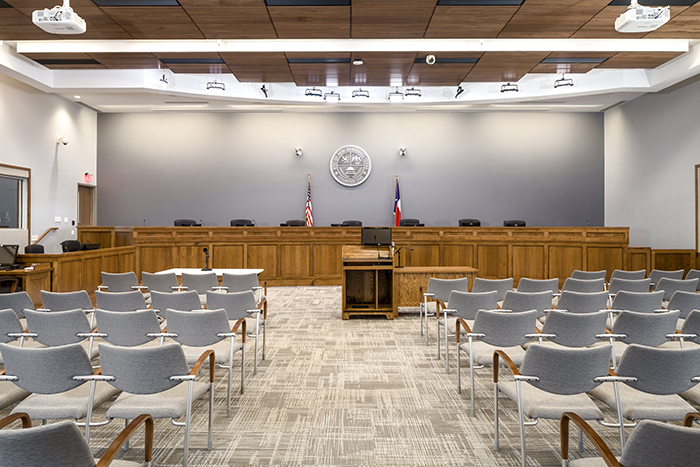 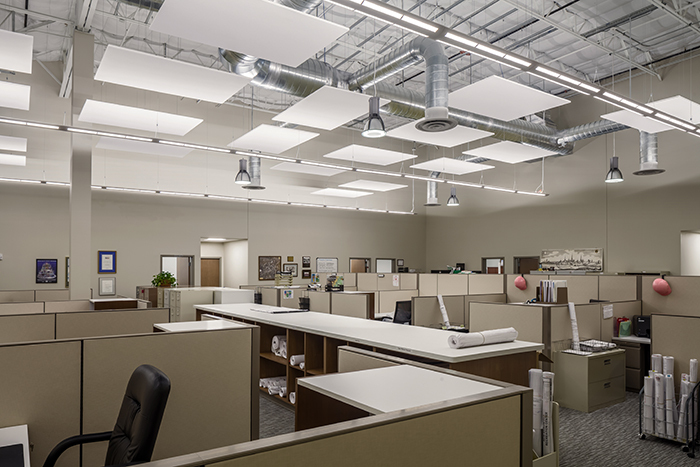 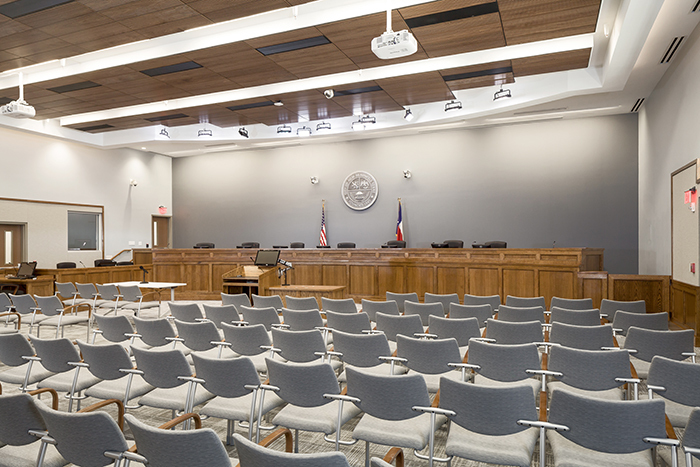 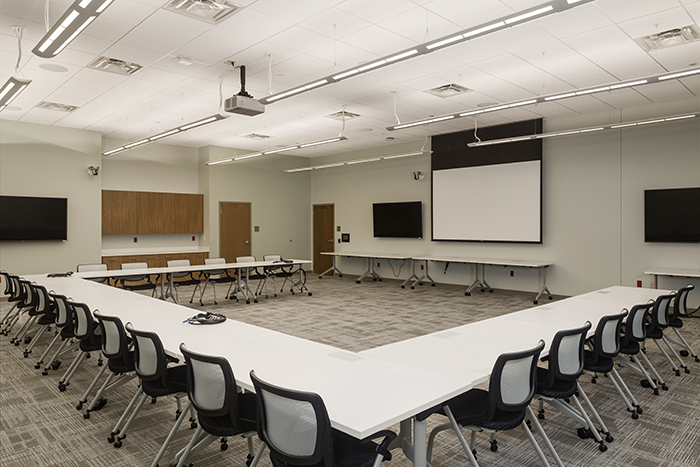 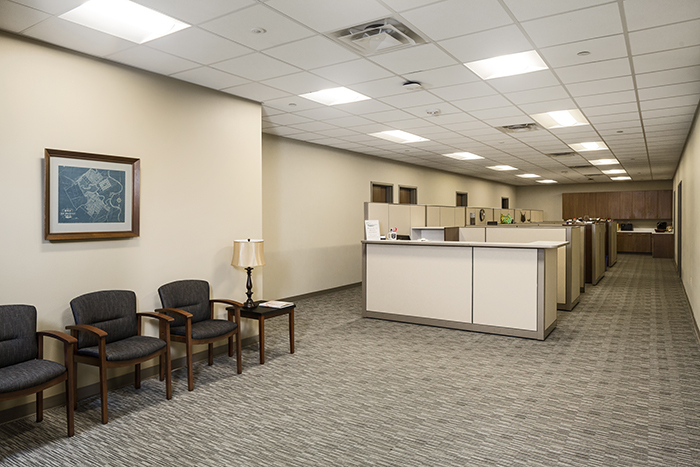 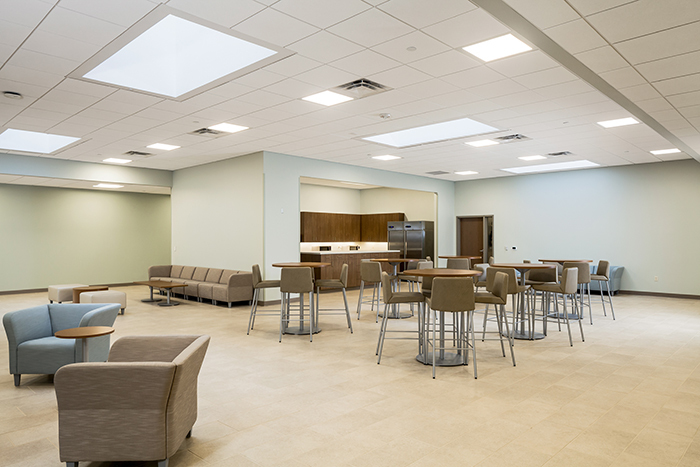 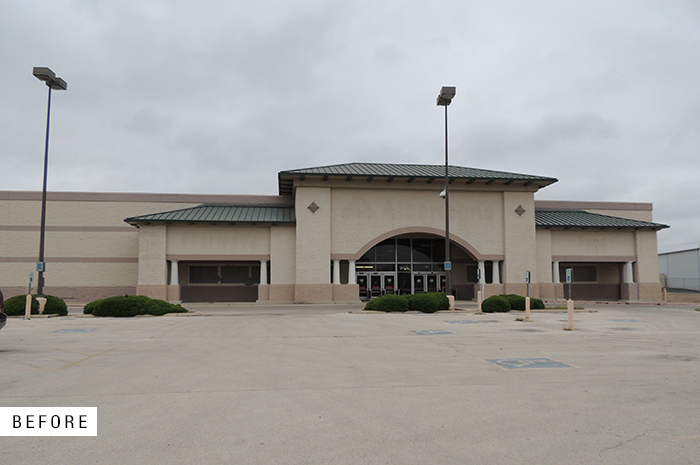 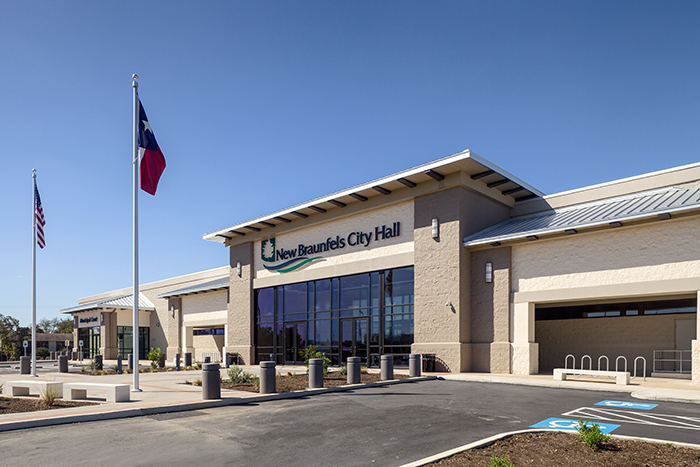 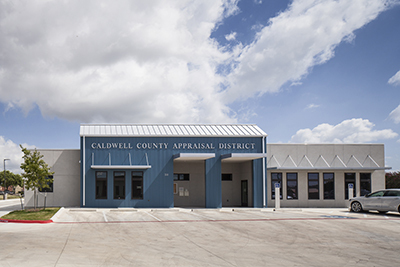 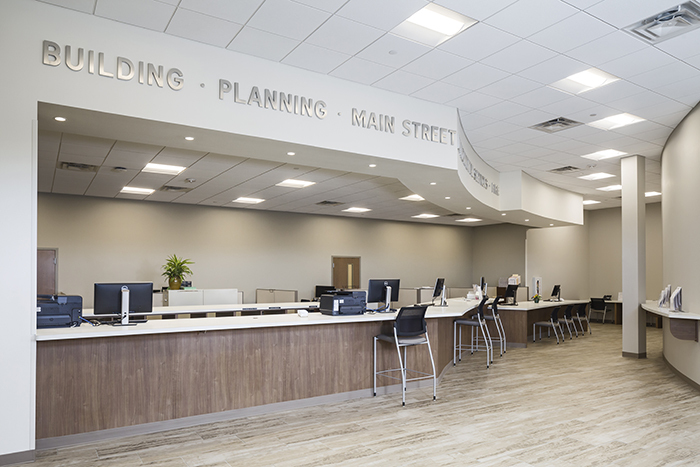 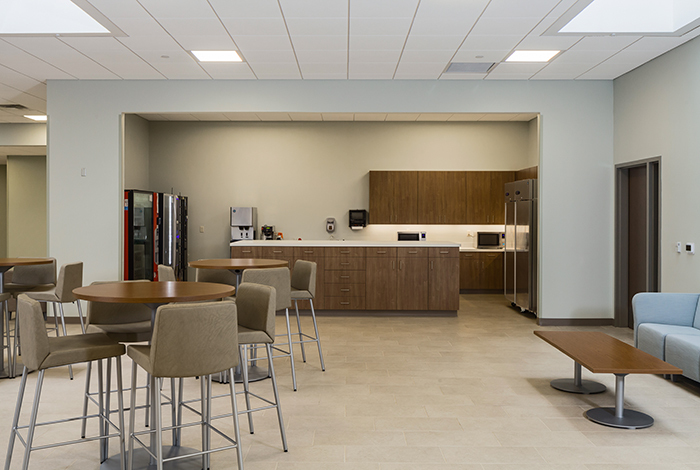 Having outgrown their facility and operating throughout the city in smaller satellite offices, the City of New Braunfels wished to consolidate all of the city services into a single facility and provide room to grow. 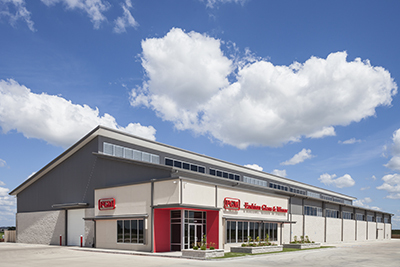 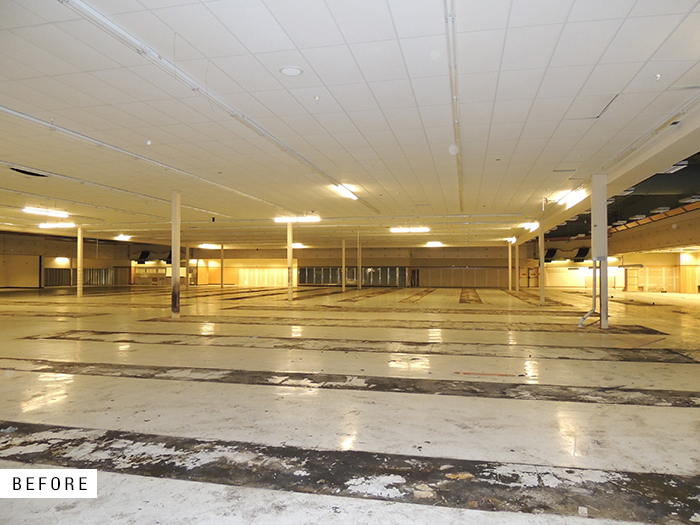 Re-purposing the 62,000 sq. 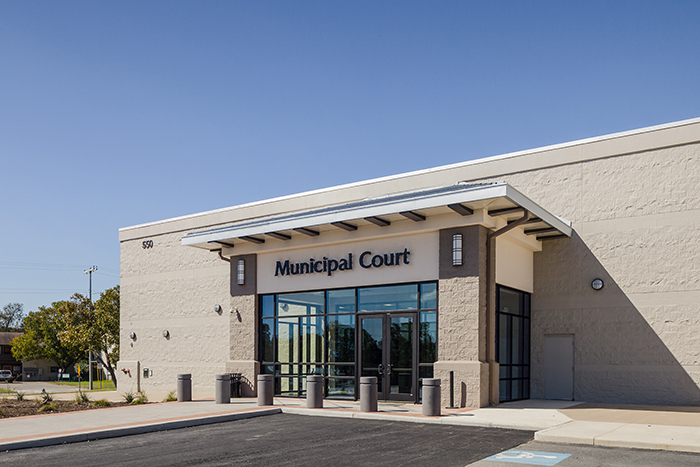 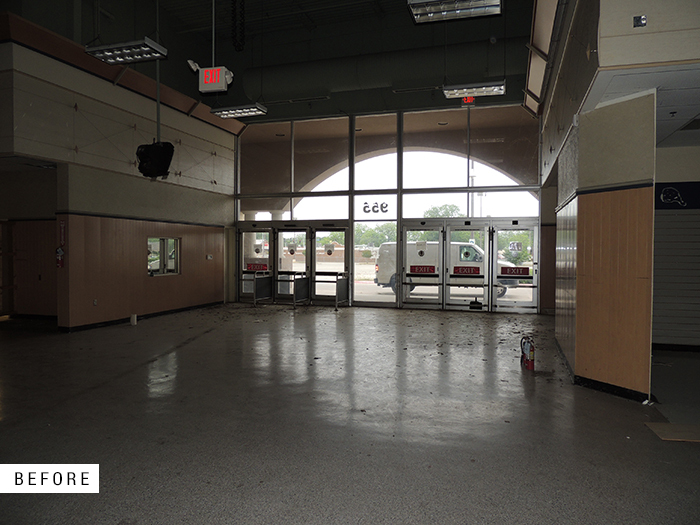 ft. shell of a former Albertson’s Grocery store, the new facility contains spaces for a Municipal Court, City Council Chambers, a one-stop-shop for the Planning and Development Department, Emergency Command Center, Public Lobby and art space, offices for the City’s administrative staff, and the City’s Fire Department Administration department. 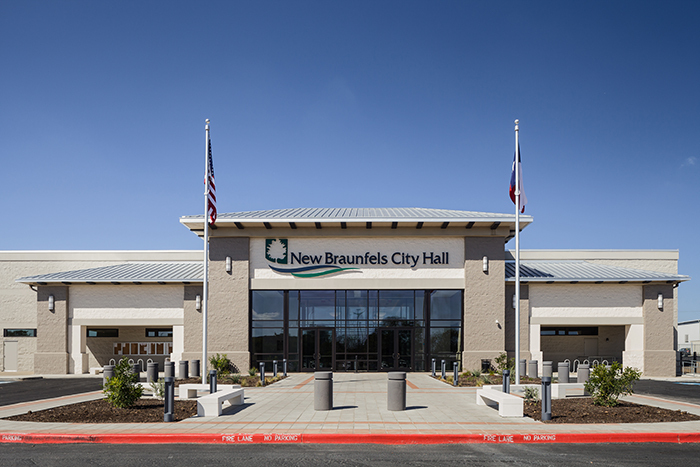 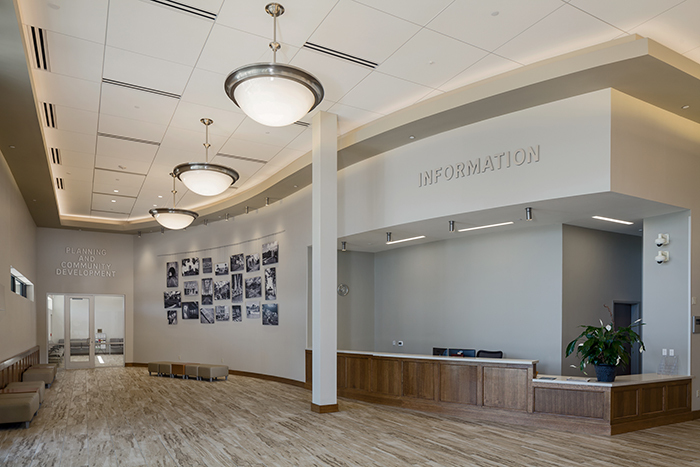 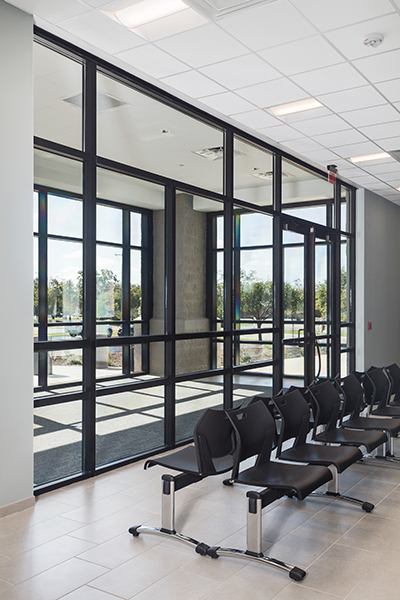 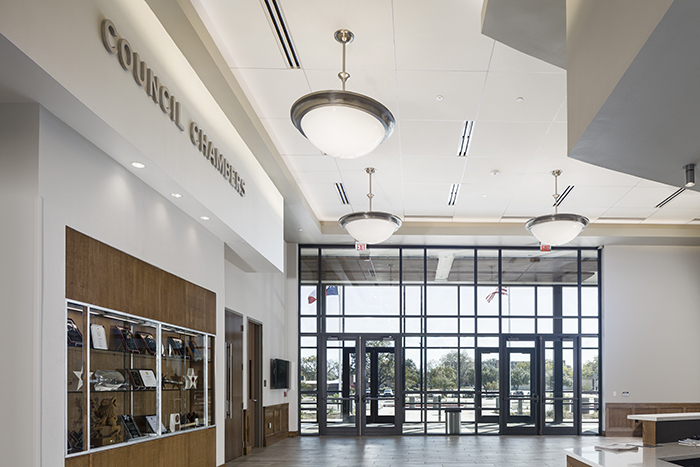 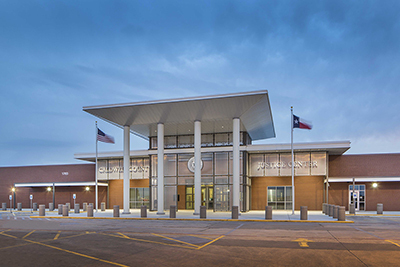 The front facade and parking lot were remodeled to provide a new landscaped entry plaza, secure entrances to the building and a more contemporary and civic presence.